Milling and kiln drying the wood on site allows John to hand select the perfect slabs for each project. Not limited to lumber resources, logs are selected for each project and then slabbed and milled to specific lengths and thickness. Creating a piece from one tree allows for matching grains, placing boards to achieve unique patterns and highlight the natural character of the wood. 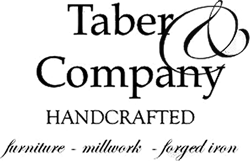 Taber & Company specializes in high end custom furniture, doors, cabinetry and millwork. Using the finest materials, each one of a kind piece is individually designed and handcrafted in Arizona. Hand craftsmanship, finishing techniques that enhance the texture of the wood and a rich wax patina finish are all recognizable trademarks. In addition Taber & Company forges all of the iron hardware, handmade for each piece, another symbol of their dedication to authenticity and client individuality. 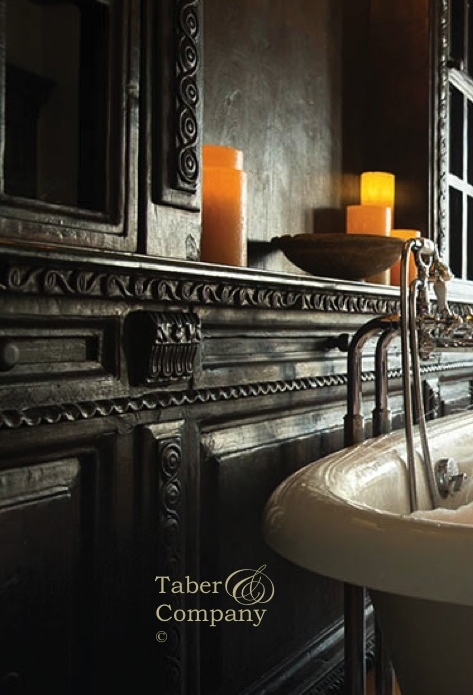 Combining exceptional craftsmanship and finishes, Taber & Company has designed and created furniture, entry doors and cabinetry for luxury homes and exclusive resorts through out the nation. Not to be defined by one style, projects completed include Spanish Colonial, Italian Mediterranean, Hacienda, Southwestern and Mountain Living influences.